1, This example custom wedding bobblehead created in March 2012, for your reference only.Your can made in this style or on your own design. 2, Dimension- About 16-18 cm (6-7") high. 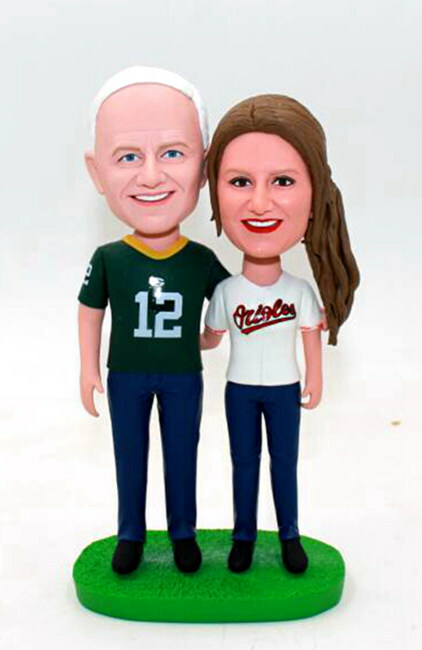 3, This custom bobblehead cake toppers 100% (from head to toe, clothing..) made from your own photos and requests. 5, DHL quick Shipping To Worldwide (send out within 5-14 days as requested).